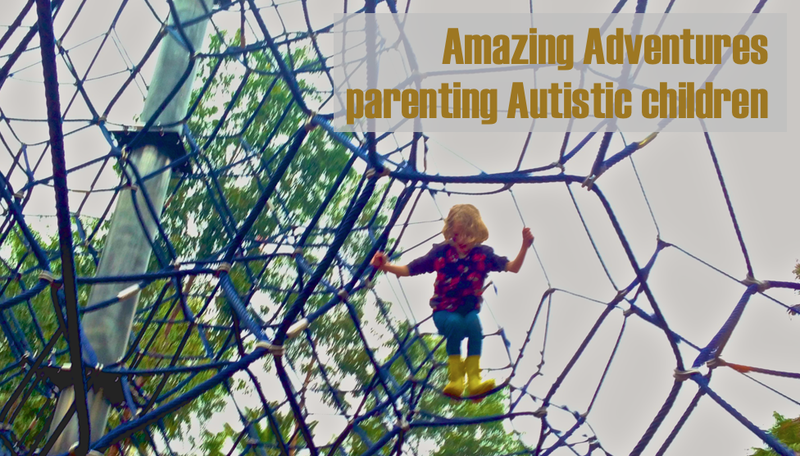 Amazing Adventures: Racism and Autism... and Vulnerability. You won't often find me discussing my thoughts on big world news or political issues in this blog, but in this instance, a news story is what started the thought process, and I can't explain without referring to it. Most of you will be aware of the death of Trayvon Martin in the USA. I'm not going to talk much about it, except to say that I feel overwhelmed by sadness, and I feel extremely angry that a boy has been killed because someone was afraid of him due to the way he looked. I honestly believe his death is going unpunished because society is set up to perpetuate racism and the fear of differences. It's not just in the USA that I am talking about, either. Racism due to fear of differences and the unknown is alive and well here in Australia too. Many of you will have watched the series that aired on SBS called 'Go back to where you came from', which shows clearly the attitudes to refugees- people of genuine need- in our county. It also shows how getting to know people for real, face to face, and "walking in their shoes" for a short while can lead to a change of opinion and attitude, just by providing an opportunity for true understanding of another person's situation. It seems that learning that those we fear or don't understand are actually pretty much the same us, leads to compassion and lessening of fear. And it seems to me that if people are not busy fearing and mistrusting each other that they would have more time and the inclination to support each other and work together on things that need attention (like community building projects and looking after people in need). This realisation leads me to ask the question, why then do the media and our government seem so happy to encourage this fear of otherness? But that discussion is not for this post! Back to Racism and Autism. "I wish people wouldn't stare when s/he is having a meltdown"
"Another person told me off today for using the disability parking when I have no obvious disability." "If the kids in the playground would stop teasing my son/daughter, s/he wouldn't lash out and get in trouble." "I wish my child's teachers would listen to me when I tell them why s/he is having trouble focussing in class, and be open to trying the strategies I've told them about instead of calling me to bring her/him home early every time it gets a bit tough. It's like they're scared of her/him." "I was told today by another doctor that I just need to provide more consistent discipline, and that s/he can't be Autistic because s/he makes eye contact and doesn't flap- why won't they listen to me?" "Sometimes it's just easier to stay home than go to the dinner/wedding/birthday party/any social event than to have to deal with other peoples looks and opinions. My child will be stressed out and I won't enjoy myself anyway because I'l be too busy making sure s/he doesn't upset anyone or have a meltdown". "I am just so glad I found this support group where I can talk about my life without having to explain myself, and people believe me and actually understand and empathise." "I found a doctor whose nephew is Autistic and it was so great to feel listened to." "My family is finally starting to 'get' that there is actually something different and I'm not over reacting. It's just such a relief to not feel so judged all the time." Can you see the key difference between these two sets of statements? Parents of Autistic kids often feel like they and their children are misunderstood. They feel like others think they are not as valuable because their child has a disability. They feel like people assume things about them that aren't true based on the behaviours they see, without ever trying to understand the cause of those behaviours. And then, when they do find acceptance they are so relieved to find a person they feel safe with! Sadly, for many, that is an infrequent thing. The societal attitudes that fuel Racism also fuel all kinds of other discrimination that lead to feelings of being isolated and disconnected. Shame and fear lead to disconnection. We assume that if people see us for who we are they'll figure out that we are lacking. We decide to not try to connect because we perceive we're not good enough. The difference between people who feel like they are loved and they belong and those who struggle to feel that and are always wondering if they are good enough, is that the ones who feel it believe they are worthy of being loved and belonging. The one thing that keeps us out of connection is our fear that we are not worthy of connection. The origin of the word courage in English is from latin, and it originally meant "to tell the story of who you are with your whole heart". and they fully embrace vulnerability, believing that what makes you vulnerable makes you beautiful. Brene came to the conclusion that vulnerability is the core of shame and fear and our struggle for worthiness at the same time as it is the birthplace of joy, creativity, belonging and love. Brene says that she believes our job as parents is not to believe our children are born perfect and our job is to keep them that way, but to say to our kids that they are imperfect, and hard wired for struggle, but that they are also worthy of love and belonging. These things are useful for me as parent in so many ways. As a parent of Autistic kids I need to acknowledge that some people will not understand my kids or my life. I can approach this in a number of ways. Listening to Brene talk affirmed in me that the best thing to do is to allow myself to be vulnerable. The phrase she used- "willing to let go of who they thought they should be, to be who they are"- being authentic, is the only way I can live satisfactorily. It is also the only way I have any hope of ever helping others to understand. I am a parent to Autistic children. That is the reason I do the things I do, hold the values I do and reason the way I do. To try to be something else, something I might have thought I should be, will only damage me, my kids and potentially lead to more misunderstanding of what Autism is. Being vulnerable is not easy sometimes. But it is worth it if it leads to increased connectedness, and better understanding of each other, isn't it? As a parent to kids who do not have a disability this information is useful. I want my children to grow up to be connected, happy people who feel loved and worthy of love. One way to achieve this is to teach all my kids to be authentic and to be open to others and who they really are. This should lead to acceptance of everyone- no matter what their abilities are, the colour of their skin, they way they talk or what they believe. I am actually less worried about raising kids with a disability than I am about raising kids who don't accept others differences! Authenticity reduces the chance of my kids growing up to be disconnected and close minded. As a friend to other parents being authentic and vulnerable is valuable. It helps me to open myself up to others by showing them who I really am, mess, failings and all. It gives other parents confidence to do the same, realising that everyone struggles with the same things and that we all have shortcomings. It allows us to really connect and experience friendships where everyone has something to offer and every one is valued and accepted for who they are, wherever they are in their parenting journey. It helps to build communities based on acceptance and support. I'm not saying an overnight switch to vulnerability is gong to change the way the world works, or is even remotely possible. BUT- I challenge you to really think about it. Do you think that the world would have less of an issue with racism if people could hear real, authentic, vulnerable story about what it is like to be a Black Boy growing up in America, or a Middle Eastern refugee in Australia? Do you think the world would be an easier place for disabled people if people could hear real, authentic, vulnerable story about what it is like to be the parent of a child with Downs Syndrome or an Autistic student in the playground of a big public school? I do. Honestly. My vulnerability, my authenticity, provides an opportunity for true understanding of my situation for those who do not live with Autism. Even if I am the only one who makes a start on this today, the world will still be different for my kids. And to me, that is worth the effort. wish there was a 'like' button for easy feedback. I really like this one. That is all!